Our program, Fueling Your Business gives you a clear path to build or refresh your business. 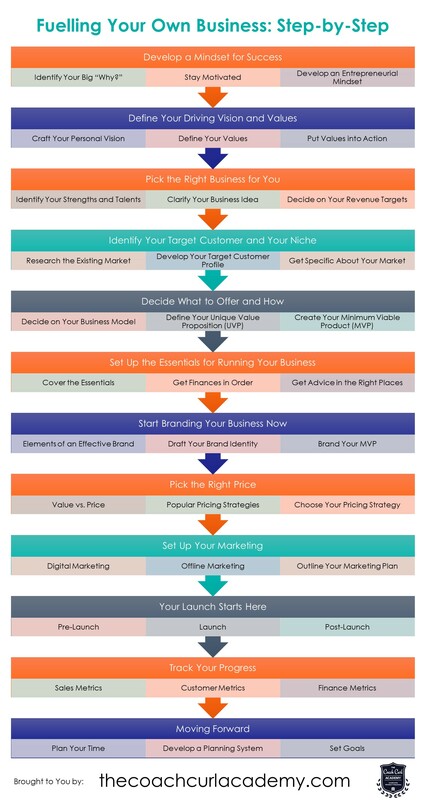 We take you step by step through all of the essential steps in developing your business idea to a successful launch. The program, also allows you to analyze every avenue of your existing business and refresh what you do to re-invigorate and fuel your business. The program is delivered online at The Coach Curl Academy and is assessed by members at Silver-Business and Gold levels. The online aspect of the course, provides flexibility in how you complete it, with the support of Tony “Coach” Curl at hand when needed. The Fueling Your Business program takes the best of the programs I have researched to provide you the most comprehensive and value-packed program to help you and your business. If you have any questions, please contact Tony here.